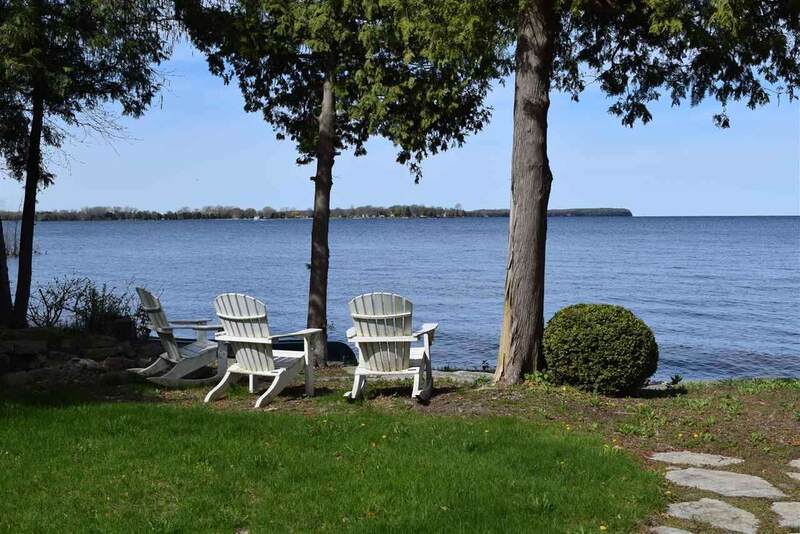 Located on Sand Bay Point near multiple sand beaches, this waterfront property is on Rileys Bay side of peninsula, affording fabulous sunsets. Shoreline is a combination small stones & sand, suitable for swimming & water sports. 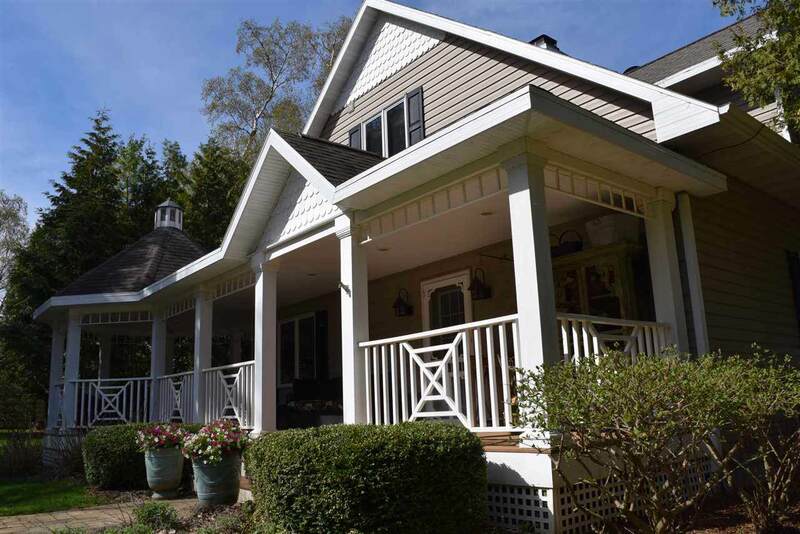 Home was built to take advantage of the fantastic views with a wraparound porch & corner gazebo-shaped extension for outdoor entertaining space. 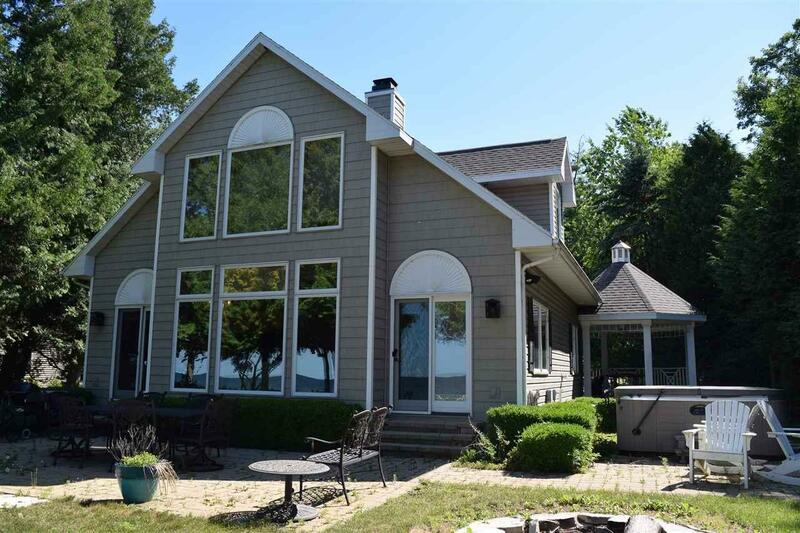 The waterside boasts a stone patio the full width of the home for additional seating area to enjoy waterfront living. 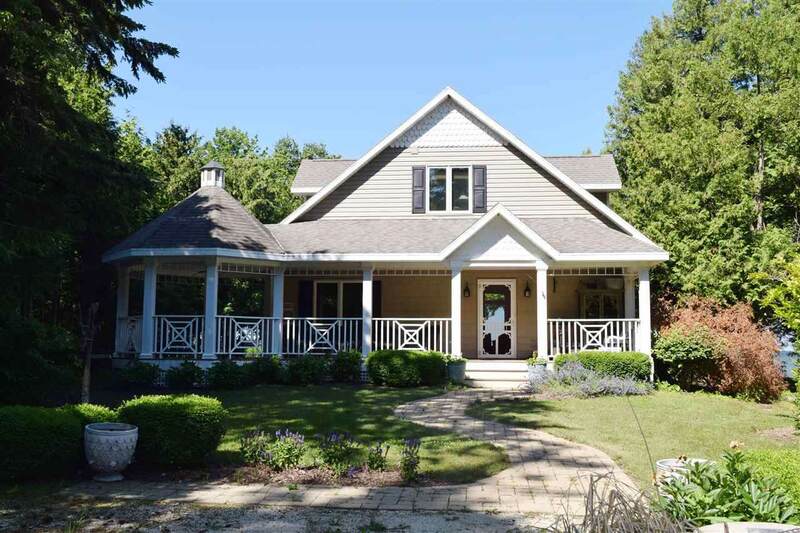 Floor to ceiling woodburning FP, two-story floor to ceiling windows, bonus rm abv garage. Shoreland zoning.